A high prevalence of patients with renal cell carcinoma reported distress, highlighting the need for better psychosocial screening of patients. 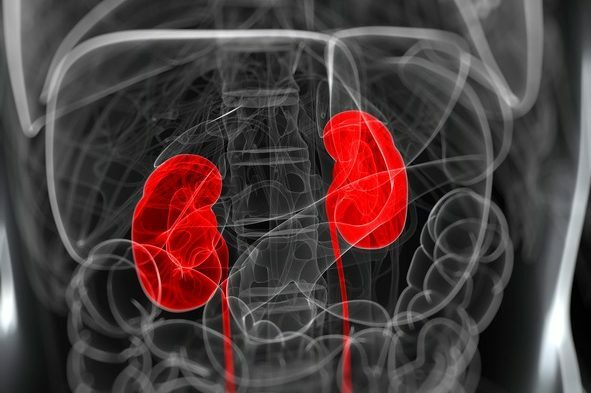 A high prevalence of patients with renal cell carcinoma (RCC) reported distress in a cross-sectional study published in BJU International.1 The high prevalence was greater than what has been seen in other cancer types and highlights the need for better psychosocial screening of patients with RCC. To conduct the study, patients with a diagnosis of RCC who were part of a US-based nonprofit patient advocacy forum were invited via social media to complete an online survey. The participants were asked to complete the survey between April 1, 2017, and June 15, 2017. The survey included questions about clinical characteristics, such as age, gender, histologic subtype, and disease recurrence. Additionally, distress was captured using the National Comprehensive Cancer Network Distress Thermometer, which is a one-time, 11-point Likert scale ranging from 0 (no distress) to 10 (extreme distress). A total of 800 participants completed the survey. However, 350 participants were excluded from the analysis because data were incomplete or participants did not have a diagnosis of RCC. A total of 450 participants qualified for the analysis. Survey participants had an average age of 56 years (range, 17-82), were nearly all white (93%), and were predominantly female (56%). Most patients had clear cell RCC (76%), non-metastatic disease at diagnosis (74%), and disease recurrence, either de novo or after initial diagnosis of non-metastatic disease (61%).